Currently The Music Room is now available for outside projects only on a limited basis. If interested, please contact for availability and full pricing details. Excellent equipment centered around a 32 channel analog Soundcraft Ghost console - heavily upgraded and modified by Ike Zimbel, Nuendo and Samplitude based DAW, Tonelux preamps, analog compressors, Neumann, AKG, Shure and Sennheiser microphones. 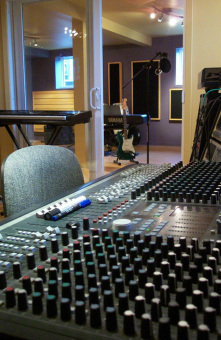 The Music Room is located in a beautiful rural location between London and Sarnia.